The Indonesian geophysics agency warned residents of the island that a tsunami was possible after the powerful quake. 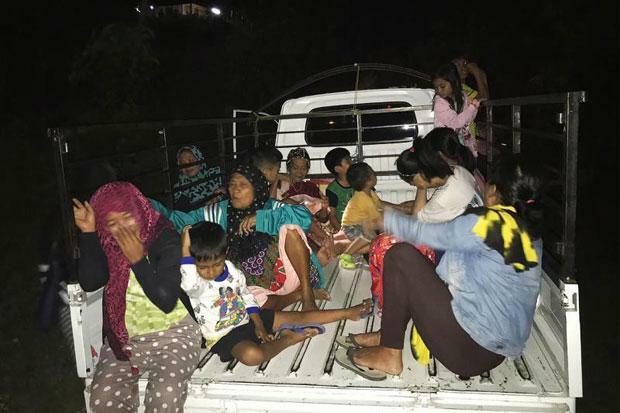 At least 20 aftershocks have been recorded after a 6.8 magnitude quake rattled Indonesia's Central Sulawesi province on Friday afternoon. On boxing day December 26, 2004, a 9.1-magnitude natural disaster struck westernmost Aceh province, causing a tsunami and killing more than 170,000 in Indonesia. Residents of Palu, which is hundreds of kilometres away from Friday's epicentre, still felt the quake. Indonesia is highly susceptible to earthquakes and tsunamis as it lies in the highly seismic Ring of Fire, an area in the basin of the Pacific Ocean. More than 2,000 people were killed.